The traditional, healing art of Usui Teate Reiki goes back to the roots of this system and aims to honour the original Japanese teachings as taught by Mikao Usui. 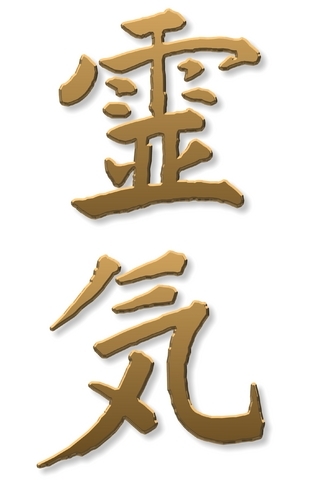 In Usui Teate, the focus is on personal and spiritual development to find one’s inner essence. This is the true purpose of Reiki – to realise one’s true self, find inner peace and live from the heart. The ultimate healing tool is the individual’s dedication to healing the self. Practising Reiki can help you to come to know yourself, feel connected and live in alignment with life. This system offers simplicity, solid foundations and a complete method for self-healing and personal/spiritual development. It is taught in three degrees (levels) – Shoden, Okuden and Shinpiden. The principles of Reiki are straight forward and attention to practise can reap great benefits. Learning Reiki is entirely at the pace of the individual. It involves receiving Empowerments (attunements). All 3 degrees include a full, comprehensive training manual, certificate and on-going support. Course numbers are kept to a maximum of 6 to ensure relaxed, personal tuition. Individual tuition is also available. There are many systems of Reiki, and ultimately, it is the same Universal Life Energy being channeled. However, learning Reiki is potentially life-changing, so choose a system and teacher you resonate with. More significantly, your teacher is the person that supports/guides you and it is important you can connect with and trust them to support your learning and development. It is also important that the teacher is dedicated to their own practice to ensure they are evolving and refining their own energy and teaching from direct experience. I welcome people to come and meet me first, have a chat and/or a Reiki session, before committing to a course. As a teacher, my commitment to your development and learning, is one that is life long or as long as you feel you need my support. Training is held in Derby at Woodlands Natural Health Centre. I am happy to teach in other locations if there are enough participants. Additional courses may run besides scheduled dates, if there have been extra enquiries, so contact me to arrange a date. A non-refundable deposit is required to secure a place for each course. Details of deposits and course fees can be found on the Prices page. Please contact me to enquire or reserve a space. "Louise is a brilliant teacher"